The video shows one window on a sunny, breezy afternoon. A cat meows, water runs, curtains move. 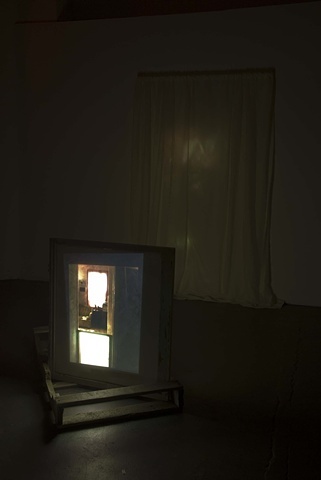 In that video is a projected video of changing light outside of that same window at an accelerated rate. Shadow moves quickly up the brick building across the street as an afternoon passes. This project was an experiment in conflating past, present, and future.